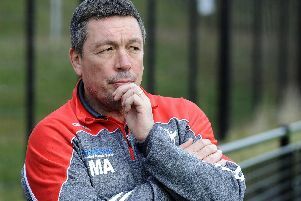 Sheffield Eagles will seek to add fresh faces to their boardroom as they look to provide some much-needed stability off the field. With a sponsor set to invest into the club to save the Eagles from extinction, the focus is already on the short and long-term issues. While sealing a deal for their sponsor and a venue for next season remain top of the priority list, the Eagles know they need to add to their backroom team following the departure of club stalwarts Ian Swire and John Whaling. At present, acting chief executive Mark Aston sits on the board with fellow directors Chris Noble and Ian Anniss, and Aston recognises they need more support if they are to sustain the club for future generations. “There is Chris Noble, Ian Anniss, myself and Liam (Claffey, administration manager),” Aston informed The Star. “We need some fresh blood. I have said this for a while now. Aston and his fellow board members are seeking younger individuals to share the workload, with their potential new ‘sponsor’ not expected to take an active part in the running of the club. Aston himself would prefer to be out of the boardroom and permanently on the training field, and if that ambition is to be realised he will need new faces to plug the gaps behind the scenes. “We have been doing this for 17 years. We all still have the passion and drive for it, but we are all getting older,” Aston admitted.